ISO 22000:2018 applies the ISO High Level Structure (HLS), common for all ISO standards. 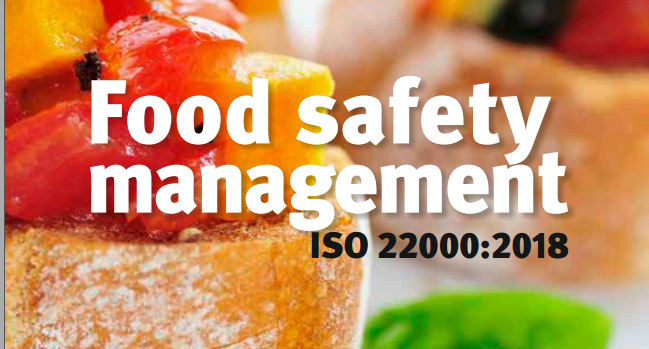 Some of the changes in ISO 22000:2018 vs. ISO 22000:2005 are induced by the HLS, while some are specific to food safety management. At present, ISO 22000:2018 is still in the FDIS (final draft international standard) stage, expected to be released in final version in June 2018. This overview is based on the FDIS, and we expect that released version will not have significant deviations from the final draft. ISO 22000:2018 is an international standard. 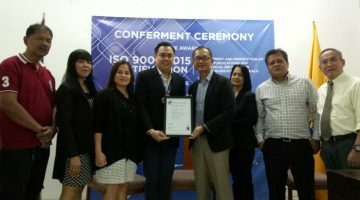 As it follows the same High Level Structure (HLS) structure as other widely applied ISO standards, such as ISO 9001 and ISO 14001, it will be easier to integrate with other management systems. If you are already applying ISO 22000:2005, you will recognize most of the requirements in ISO 22000:2018. However, there are quite a few changes from ISO 22000:2005 that you must prepare for in order to transition and comply with ISO 22000:2018.
Business Context and interested parties: Chapter 4.1, external and internal issues, introduces new clauses for systematic determination and monitoring of the business context, and Chapter 4.2, needs and expectations of interested parties, introduces demands to identify and understand factors that can (potentially) affect the ability of Management System to reach the intended results. Strengthened emphasis on leadership and management commitment: Chapter 5.1 now includes new demands to actively engage and take accountability for the effectiveness of the management system. Risk management: – Chapter 6.1 now requires companies to determine, consider and, where necessary, take action to address any risks that may impact (either positively or negatively) the ability of the management system to deliver its intended results. Strengthened focus on objectives as drivers for improvements: these changes can be found in Chapter 6.2, and performance evaluation chapter 9.1. Extended requirements related to communications: Chapter 7.4 is now more prescriptive in respect to the “mechanics” of communication, including determination of what, when and how to communicate. Less strict requirements for a food safety manual: – the change is introduced in chapter 7.5. It is still required to have documented information. Documented information shall be controlled to ensure it is adequately protected (ref. 7.5.3). The explicit requirement to have a documented procedure has been removed. The PDCA cycle: the standard clarifies the Plan-Do-Check-Act cycle, by having two separate cycles in the standard working together: one covering the management system and the other, covering the principles of HACCP. The scope now specifically includes animal food: food for animals not producing food for human consumption. Feed is intended to be fed to food producing animals. Some important changes in the definitions: ‘Harm’ is replaced by ‘adverse health effect’ to ensure consistency with definition of food safety hazard. The use of ‘assurance’ highlights the relationship between the consumer and the food product, based on the assurance of food safety. 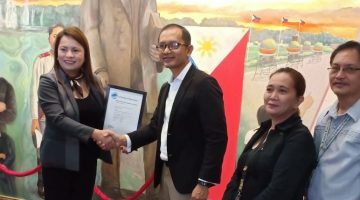 Communicating the food safety policy – Chapter 5.2.2: Explicitly requires the management to facilitate understanding of the food safety policies by employees. Food Safety Management System Objectives: Establishing objectives for the food safety management system is further specified in Chapter 6.2.1 and includes items as e.g. ‘consistent with customer requirements’, ‘monitored’ and ‘verified’. Control of externally-provided processes, products or services – Chapter 7.1.6: This clause introduces the need to control the suppliers of products, processes and services (including outsourced processes) and to ensure adequate communication of relevant requirements, to meet the food safety management system requirements. In addition, there are several key changes in the ISO 22000:2018 compared to ISO 22000:2005 related to the HACCP systematics.